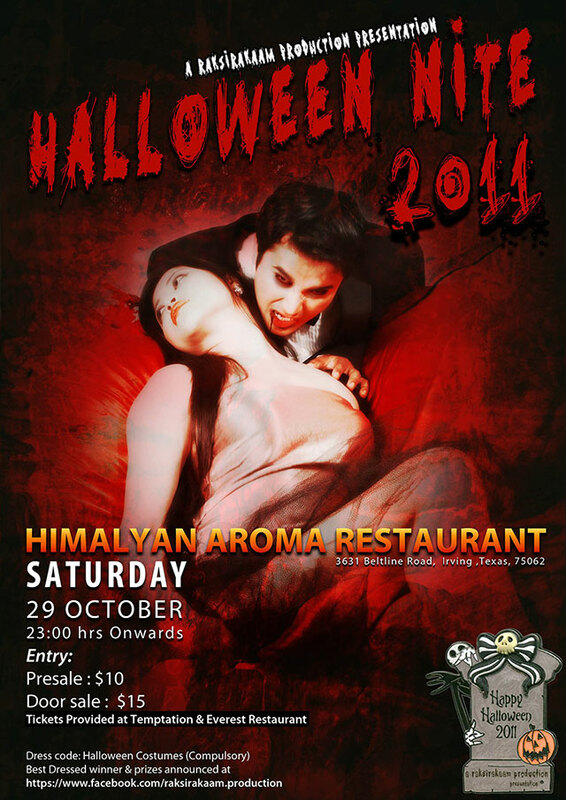 Raksirakaam Production is organizing a costume party, Halloween Costume Nite 2011, at Himalayan Aroma on Saturday, October 29, 2011. Raksirakaam team invites all party lovers to come dressed up on your best costume and enjoy the party. They are also giving away a cash prize of $100 for the BEST COSTUME. Dress code : No costume, No entry !! Tickets available at Himalayan Aroma, Temptation and Everest Restaurant in Irving. For more information, please call 214-991-9195 or 972-900-3328.